Devil Dogs? pfffft, they don't look so tough! Never send a experiment do to an experiments work! 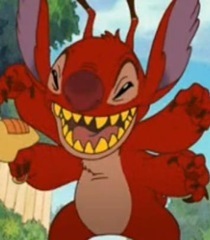 Stitch, there is no Yuna, it was all a figment of your imagination. Take a look, this island, was a bomb shelled graveyard, no one could survive an attack from a fleet of air ships!